As a Spanish language major, I cannot tell you how many times I have had to sit through presentations about the Spanish-American War of 1898. It seemed like every semester I took a Spanish course, the War of 1898 would be doubtlessly mentioned in at least 2 student presentations. If through a “Spain” lens, it would be mentioned as the monumental moment in which Spain ceased to be an imperial power. If through the “Latin America” lens, it would be mentioned as the monumental moment in which the United States began to actively seek to influence the internal affairs of the countries of Latin America. One of the points of the presentation would always sound something like this: “As well as gaining considerable influence over Cuba through the Platt Amendment, the United States also gained control over the remaining Spanish territories of Guam, Puerto Rico, and the Philippines.” I will admit that I never really thought deeply about this point. The idea that there is an Asiatic island nation that was not only a part of the Spanish empire (despite the very pronounced geographic distance), but also the empire of the United States empire is a topic that now very much interests me. 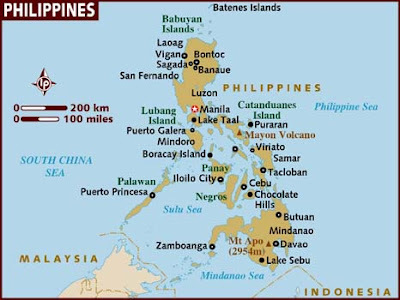 In my experience as a United States American, the Philippines is not really mentioned – although it was an integral part of our identity and our foreign policy for some time. Likewise, in Spain, the Philippines never came up in conversation, the way that other countries colonized by Spain would. There were three points of the book that really permeated my thoughts: 1.) the role of religion in creating a complacent nature among the colonized; 2) the imperialism of the United States and how this history remains forgotten in the U.S. discourse; and 3.) the importance of language in the creation of a national identity. Role of religion: Spain began to claim control over the Pacific islands after the taking of the islands for Spain by the Portuguese explorer Magellan in 1521. However, the distance of the islands made it difficult to exert power over these islands. Essentially, a system arose in which both religion and the state had equal and mutually-dependent power. “Since pacification rested mainly on the indigenous embrace of Catholicism, the religious played an inordinate role in maintaining Spanish power in most communities” (page 73.) Interestingly, the book mentions that in many instances, it is impossible to tell who wielded the most power: the state or the church. 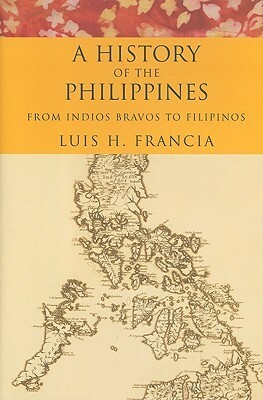 It is important to note that the state did not only view religion as a tool to placate the locals, but also (nominally) as the primary motivation for exerting power on the Philippines by the Spanish: it was Christian duty to provide religion to the native peoples. Importance of Language for a National Identity: The Philippines is a diverse and divided country, brought together by the forces of colonization – mutual distrust of powers and an imposed Catholic faith (granted there are some separate Muslim communities who always showed resistance.) The author notes this diversity exists even today: “Being home to a diverse array of ethnicities, the islands possess close to 170 languages and dialects, with man on the verge of extinction” (page 39.) One of the things that struck me is that each colonial power tried to impose their language onto the Filipino people – Spanish, English, and Japanese. Even now that Tagalog is the official language, it was not accepted with open arms as some groups worried that their cultural heritages were not represented by the Tagalog language.